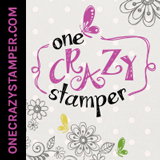 ONECRAZYSTAMPER.COM: Are We There Yet? We are not really having what is considered a "normal" winter where I live. We usually have a ton of snow by now but we really don't have much to speak of. It makes it kind of challenging for the little ones who like tobagganing! The stamp I have used on my card today reminds me of my younger days when the neighbours came over and we tobogganed all day. We had the best hill right beside our house so we didn't have to go far. I coloured this fun stamp with alcohol markers and hand fussy cut it leaving a thin white edge. I set it aside and created my background using a birch tree background die and some birch tree patterned paper. The die is sized to fit an A2 size card so the trees on the main card base are actually cut apart from the finished die cut. 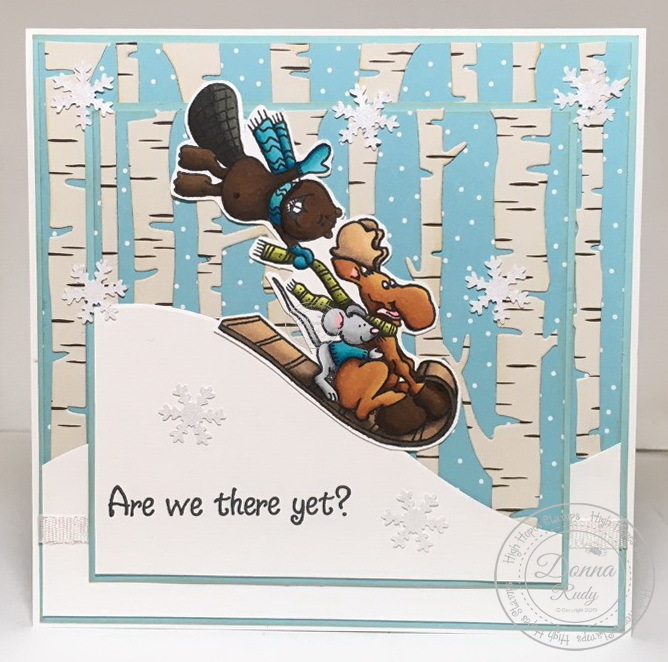 I used a wavy edge die to create my snow hill and inked all of the paper and tree edges with antique linen distress ink. 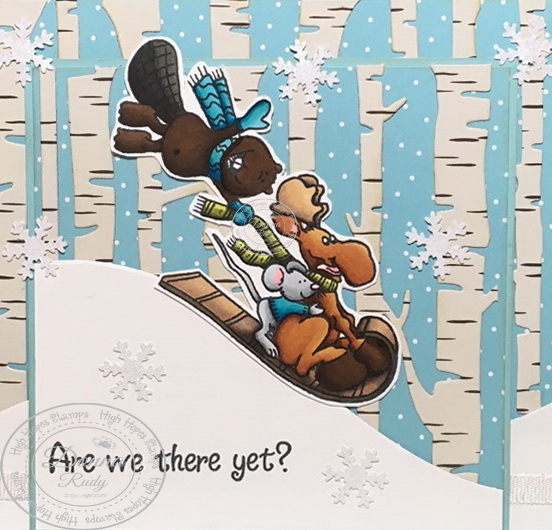 I added some fun glitter paper snow flakes (hard to see in the photo) cut out with a punch and added some matching sparkly ribbon to finish off my card.